I’ve been to Japan quite a few times by now, but there are always things that you notice on trips that you didn’t before. 1) Restaurants, at least here in Kyoto, almost all seem to serve hojicha or genmaicha as the tea of choice. Of the ones that I’ve gone to so far, that has always been the case. Some of these places are not exactly crap restaurants either, and the hojicha, as far as I can tell, are pretty decent. In one case, it was the most interesting hojicha I’ve ever had. I think sencha perhaps doesn’t go as well in many ways with a lot of cuisine, and I can sort of see why. Hojicha is a bit more neutral, and probably does a better job of making food go down easier than sencha could. This is just another teaware store. For those who like browsing, if not buying for stuff, there’s no better place than Kyoto. You don’t find the same concentration of such stores elsewhere in Japan – you have to have a better idea of where to look. 3) I don’t drink much of Japanese tea at all, especially the green stuff, so I don’t usually shop for them. Prices, however, are expensive, and I think most of the high end stuff you’ll never see in the US. Prices on the high end seem to be somewhere in the 3000yen/100g range. Granted, this is retail in a touristy city in Kyoto, but like teas in Taiwan, China, and elsewhere, I think the outcome is the same – the best stuff stays at home. Hi. 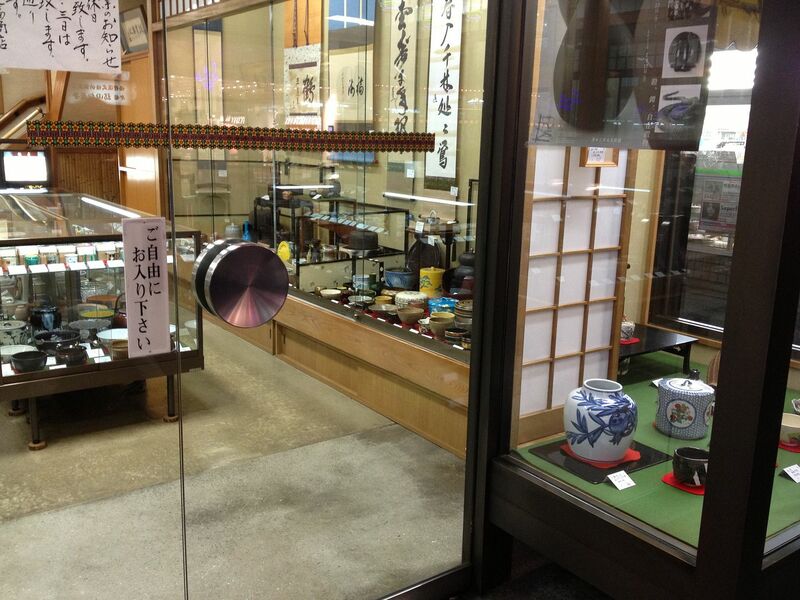 Would you happen to know the average location of the Raku-yaki shop in Gion ? I am going to Kyoto next fall and I have always failed to find some good (affordable) Raku chawan to bring back. I think you’re right that most, if not all, of these tea shops in Kyoto are aimed squarely at tourists and thus overpriced and that is probably doubly true in Gion. I’m sure anything you buy there is high quality though. That’s one thing I really liked about Japan (or China)–even the tea you buy off a supermarket shelf is still a pretty good quality.